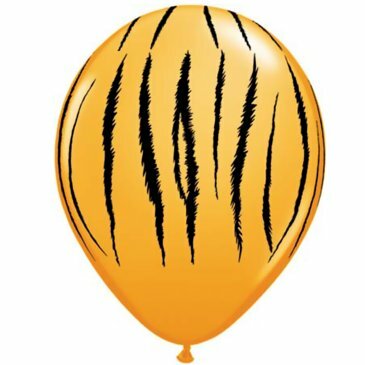 Your guests will rave about these fun Tiger balloons! The colorful print animal print balloons will complement your party theme, making any room look festive in a flash. Each package contains (6) latex balloons, measuring 11″ in diameter.